Assassin's Creed Origins launched on PC, PS4, and Xbox One back at the end of October last year. Initially it grabbed the HEXUS headlines for all the wrong reasons, not the bugs this time around, but the strident CPU-sapping DRM protections. Now here's some good news, especially for those who have already purchased the game. Patch 1.3.0 will be released today for PC owners (and other platforms) which introduces some new free additions, as well as a plethora of bug fixes, and weighs in at 2.6GB. 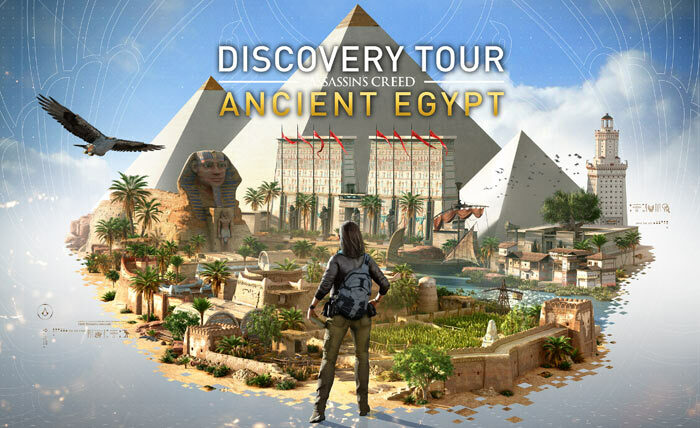 The headlining new introduction is a free extra for owners of the game: the Discovery Tour by Assassin's Creed: Ancient Egypt game mode. Egypt: the land of Egypt, geography, and wildlife. Pyramids: the most iconic landmarks of Egypt. Alexandria: explaining the Greek influence that started with Alexander the Great. Daily Life: information about the people and not only the monuments. Romans: few tours about the growing influence of Rome at the time of the game. You will access the guided tour list through a new dedicated item in the game / pause menu. 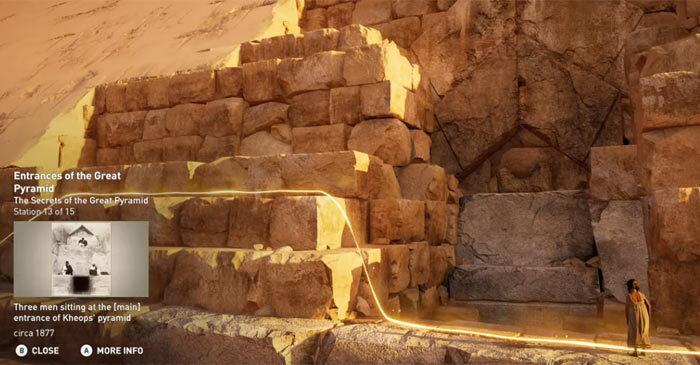 The favourite guided tours of Jean Guesdon, the creative director of Assassin's Creed Origins, include The Great Library of Alexandria, Khafre’s Funerary Complex, and The Egyptian Household. As mentioned above, the Discovery Tour mode is free for owners of the game but it can be purchased as a standalone experience via UPlay or Steam for US$19.99/€19.99. If you are already an Assassin's Creed Origins it is worth a look over the patch notes for further info on new game features, such as a new Game+ mode, game tweaks and fixes, and PC specific bug fixes. I can think of far more interesting places to tour than Ancient Egypt… especially at that price! I like this idea a lot, it is a bit like an expanded version of the informational landmark entries in watch dogs, which I enjoyed very much (even if the rest of that game was a bit meh).